Today we introduce in our #PRpeople series Paul Wilke, Upright Position Communications founder, an experienced communications professional who has worked with incredible people and organizations over three decades. With feet-on-the-ground experience working on both US coasts and in Asia, Paul is focused on telling compelling stories, garnering on-message media coverage and providing sound strategic counsel. My first job in PR was in 1994 at a small firm in Delaware. Previously I was a newspaper editor. I love to write, but as a journalist, as much as I liked reporting the news, PR appealed to me much more, because we’re in a position to not only craft the narrative, but also drive it. .
At Upright Position Communications, the PR firm I founded three years ago, we uphold the reporter/PR relationship to the highest of standards. I want to always ensure that if a reporter sees an Upright email or any of our associates names on their phone, they know we’re reaching out with something relevant and interesting to them. The 2004 tsunami in Southeast Asia forever changed the way I viewed the power of communications. I was living in Singapore at the time, so we learned of the damage it caused relatively quickly. I was working in-house at Visa, in charge of PR for South and Southeast Asia. We tried to figure out how we as a company could make a difference above and beyond the usual means. We used international credit cardholder spending data to showcase to the media and tourism bodies in the affected areas where economic recovery was occurring and which international visitors were quickest to return. It proved effective not only as a PR campaign, but more importantly, helped tourism economies return to vibrancy in areas that dearly needed to recover. I’m a big believer in the philosophy that corporate PR, when done well, can help solve many business issues, which is why I’m proudest of the aforementioned tsunami work. I’m also most proud of the work I did for a shipping client I had when I was living in Singapore, working for Baldwin Boyle Group, a New Zealand-based PR consultancy. 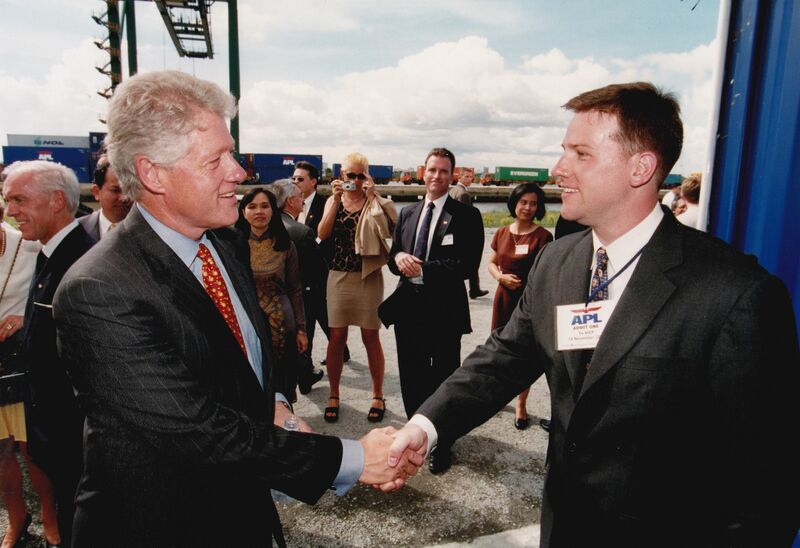 In 2000, our client hosted then-US President Bill Clinton at one of its container terminal facilities where Clinton made a major policy speech with regard to the opening of trade between the US and Vietnam. We were tasked with ensuring this event raised corporate awareness, showed the impact of international commerce and brought cultures together. It was the first time I had ever worked with the logistics of presidential visit, which to this day, fascinates me. PR around Alibaba’s IPO. While it occurred in late 2014, it had a huge impact on the PR IPO market in 2015. Alibaba founder Jack Ma showed the world how an executive should look and sound around an IPO. In 2015, I worked on the IPO of one of their spinoff companies, so we were able to capitalize on the media goodwill that Alibaba brought forward. I define creativity as going beyond your comfort zone to create something original or something that makes people think. I strive to do this every day. PR is an industry where it’s hard to surprise, yet you need to try to be different or find a new angle. With anything we do at Upright, we try to innovate and break the rules. However, to break the rules, you have to know what the rules are and know them well enough to know which ones you can break. PR is a funny business in that you want the world to pay attention to your clients, but you don’t want to come across to reporters as needing the attention. It’s a fun little dance! Tweetdeck – I found my first IPO client while setting Tweetdeck up. Microsoft Word and Google Docs (in tandem) – I use Word for writing and Google Docs for sharing an easy to edit version with our clients. It might seem like a duplication of efforts, but using the two in tandem ensures rock-solid version control. Google News – My window to the world with regards to information. TripIt – When it comes to organizing my travel plans, it’s invaluable. iTunes – Because work requires a kickass soundtrack. I realized that I enjoy the process of taping up, stretching, cramming the two boats I call my feet into toe socks, hydrating, picking a route and finding the most bizarre snacks to take on long runs (marshmallows and PB&J sandwiches). There’s a “Zen and the Art of Motorcycle Maintenance” sort of calm to going through this ritual before getting all sweaty and jarring your bones. Go figure. I also run to think. You’d think that keeping this lithe physique upright and on the road would take up the bulk of my brainpower. In reality, a lot pops into my head: people I haven’t thought about in a long time, ideas I’d long forgotten, observations that I wouldn’t normally make and thoughts about how to make a difference at home, at work or at life in general. I haven’t invented a flying car or anything while I run, but some of the thoughts are deep enough that I wish that I ran with a pen on me. That may sound a bit ethereal, but you’d be surprised what pops in my head when I run…ranging from the very abstract to the very deep and to the very primal and ridiculous. It’s all there and it’s a great way to work through the thought demons. A reduced reliance on submitting contributed content to websites and media outlets. Mainstream news websites recognize more than ever that there’s enough content out there that we need them more than they need us, which means the line between advertising and editorial will continue to blur. Companies like NerdWallet have it right: Generate your own content and post it yourself. It’s eliminating the middleman at its finest. Continued social media shift from Twitter to Facebook. I use both, but continue to find that Facebook is evolving better than other social media platforms in a way that you as a user have more control of your content, whether you realize it or not. Higher client expectations and greater selectivity from reporters. Reporters are more selective than ever with regard to what’s news, which makes it harder for PR professionals, as clients are demanding better and faster results. This is a balance we as an industry need to manage carefully. Better measurement tools. Clients want to better measure results, and archaic PR measurement tools and metrics aren’t cutting it. Companies like AirPR are providing tools that showcase PR results in a way that’s smart and easy to understand.